Lady Bunny Blog: MISS COCO PERU! 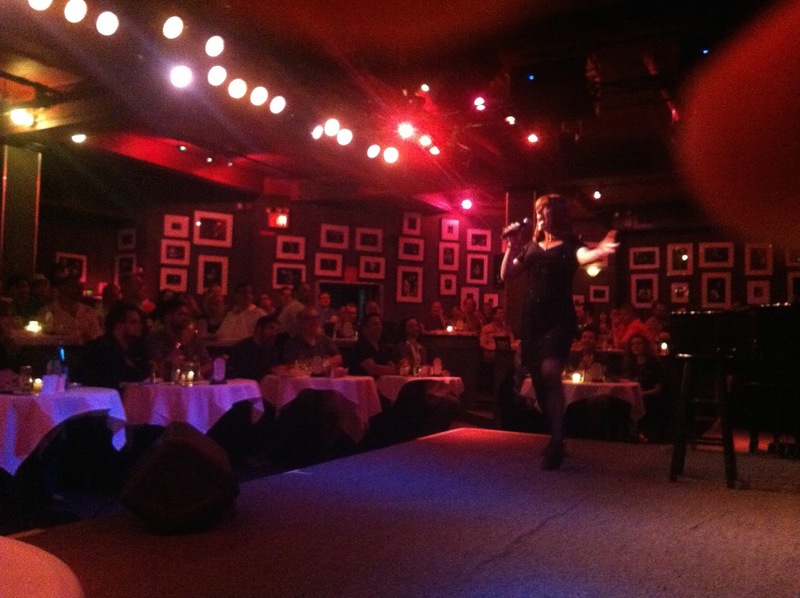 Just saw Coco Peru﻿ perform at Birdland, a snazzy jazz club on W. 44th Street. Coco is a consummate storyteller, and has a unique gift to blend feel-good monologues with the snarky, bitter tongue of the genius Paul Lynde. So every time she She's singing more than I've ever seen her and sounding better than ever, and picks indisputably great songs like "That's Life." But it's her wry observations that really keep the crowd in the palm of her hand. "Time may be a great healer, but it's a lousy beautician." She also reminds the audience frequently--and they tend to be a little older cuz she's classy like that--that they are all going to die. And strongly hinting that it could happen much sooner than they think. Like, maybe tonight after her show. She's a nut. But a very talented, polished, warm and wise nut. What can I say? Opposites must attract because I loved every minute of it. Even my greasy, crab-cake covered finger peeking out ofter the lens doesn't diminish her star power in this pic one iota!